Can You Freeze Live Mussels? Mussels are a popular seafood, especially in coastal areas. With their open black shells, mussels are an attractive appetizer or entree, often served in a pot of bubbling spiced stew. Like all seafood, you need to take care when preparing mussels, in order to avoid unhealthy contamination or unpalatable textures and flavors. Freezing live mussels is not recommended. Chefs and seafood experts agree that you should not freeze live mussels. When you purchase mussels for cooking, they should be alive and tightly closed. If a mussel shell is slightly open, you can cool it on ice or lightly tap it. A live mussel will slowly close in such situations. Any mussels that are open, have broken shells or seem to be full of mud must be discarded before cooking. While you can not freeze mussels, you should keep them cool prior to cooking. Mussels have a limited shelf life. You should cook them within two or three days for optimal taste and freshness. 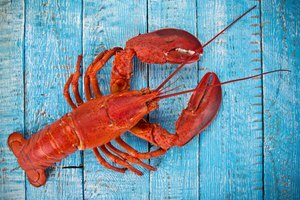 They will remain safe to eat for up to 14 days after packaging, but taste and safety decline with every day in storage. Store your mussels in a cool (but not freezing) environment. 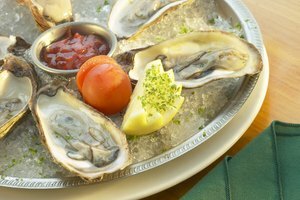 Leave the packaging open, with air vents so that oxygen can flow through the shellfish. 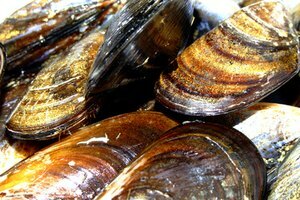 Do not soak the mussels in water, as fresh water will quickly kill mussels. 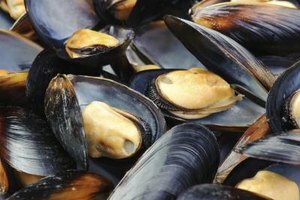 If you need to clean the shells, scrub the mussels in small amounts of running water. To cook mussels, prepare the sauce ahead of time, and then add the mussels to the already heated pot and sauce. 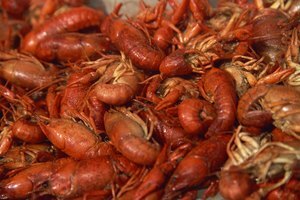 Steam them with a closed lid for about five minutes, or until the shells are mostly open. The meat should be only lightly attached to the inside of the shell. Discard any closed shells. While you can not freeze live mussels, you can freeze mussels that you have cooked. Cook the mussels as described above, then freeze them in the shell as soon as possible and seal the container tightly. The ingredients in your sauce may not freeze well, so plan your sauces accordingly. If you freeze the mussels immediately after cooking and properly seal the container, your mussels can keep for up to four months. How Long Do Mussels Stay Fresh?